(KN) (Perth) 1985 - Current. Framable Color Prints and Posters. Digital Sharp Images. Aviation Gifts. Slide Shows. Maroomba Airlines Bombardier DHC-8-102 VH-QQE (msn 173) PER (Micheil Keegan). Image: 907835. Maroomba Airlines (Perth) is a small airline and air charter company based in Western Australia. 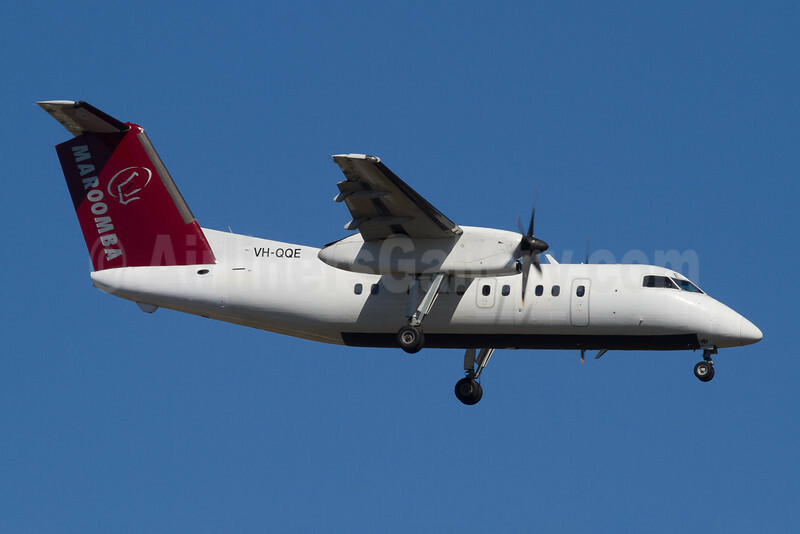 Founded in 1985, the airline operates regular scheduled passenger services to Mount Magnet as well as-hoc charter services around Western Australia.